Photos by Tri Delta Transit. The new 40-foot electric buses will be used throughout Tri Delta Transit’s service area and can carry up to 38 seated passengers with up to another 18 riders standing. 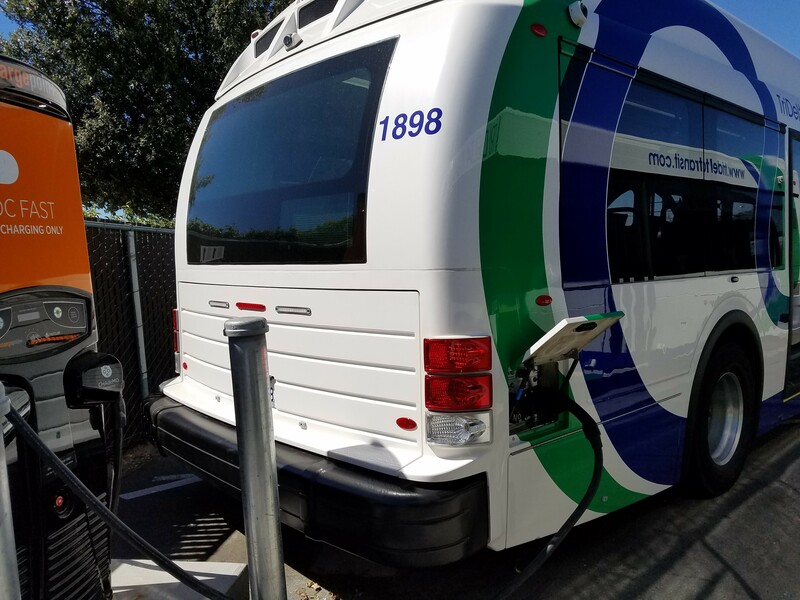 Like all Tri Delta Transit buses, the new electric buses are ramp-equipped to accommodate wheelchairs and mobility devices, have priority seating for seniors and people with disabilities, and exterior bike racks that can accommodate up to two bikes. As part of their goal to stay ahead of industry trends, Tri Delta Transit is looking at new ways to lower their carbon footprint and minimize their impact on the environment. The introduction of these four electric buses is an important step forward in that overall goal and builds on Tri Delta Transit’ s dedication to being a green business. “Our decision to test electric goes beyond cleaner air and doing the right thing,” said Krieg. “These buses are whisper-quiet and will drastically reduce noise pollution along their daily routes. 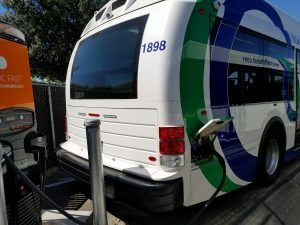 Additionally, they will save our transit agency tens of thousands of dollars in fuel and maintenance costs and enable us to begin other upgrades to our system.” The buses can drive for more than 100 miles on a single charge. With a unique design that strongly supports Tri Delta Transit’s branding, the electric buses are eye-catching and have been overwhelmingly embraced by transit riders. The buses are being used on multiple routes, so regardless of which route you use, you may see one approaching your stop the next time you ride. Tri Delta Transit provides over 3,000,000 trips each year to a population of over 250,000 residents in the 225 square miles of Eastern Contra Costa County. They currently operate 15 local bus routes Monday – Friday, five local bus routes on weekends, door-to-door bus service for senior citizens and people with disabilities, and shuttle services to community events. For additional information about Tri Delta Transit, please visit www.trideltatransit.com. This entry was posted on Friday, June 29th, 2018 at 2:28 pm and is filed under News, Transportation. You can follow any responses to this entry through the RSS 2.0 feed. You can leave a response, or trackback from your own site.